As a result of the inevitable aging process, many people seek the services of a plastic surgeon in Baltimore for facelift. This is because Baltimore cosmetic surgery offers all the available facelift options one needs to attain a youthful appearance. Who doesn’t want to look youthful anyway? Deep creases on the lower eyelids, sagging faces and skin tone complications are just a few examples of facial problems that this cosmetic surgery rectifies. There are several types of facelift procedures that one can choose from based on the exact appearance issues they have. A patient can go for the deep plane lift, which is a modernized traditional facelift; superficial musculo-aponeurotic system (SMAS) and temporal facelift, both targeting the eyebrow area; and midface lift for the cheekbone area. These are just a few of the many options available for patients. While the variety might be confusing, choosing a professional Baltimore plastic surgeon will make things easier as you’ll be advised on which procedure is best for your unique condition. Those with less facial aging are the best candidates for isolated surgeries as minimal surgery is involved to get the desired result. Chin surgery, forehead and mid-face lift, neck lift and eyelid surgery are some of the isolated surgeries performed to minimize aging effects. 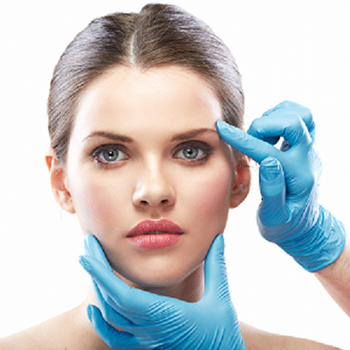 A successful isolated cosmetic surgery equally offers good results like any other involving surgery. Surgical procedures have taken a shift from open surgeries to modern ways that are less invasive. Cosmetic surgery has also taken the path of minimal invasion and is mostly performed with the help of special surgical instruments and a viewing scope. The viewing scope in this type of surgery is used to enable the cosmetic surgeon to perform a successful surgical procedure using tiny incisions. Minimally invasive surgeries are cheap and easy to recover from. They are also less painful. For dependable results, it’s always important to choose a plastic surgeon in Baltimore with both experience and a reputation in performing facelift.